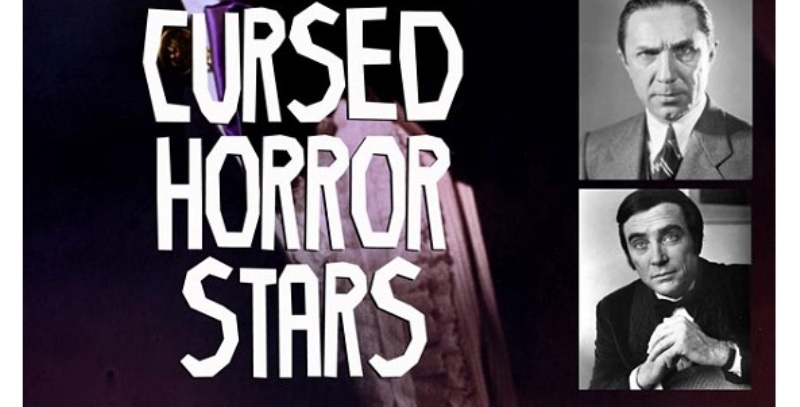 Local writer Mark Iveson is the author of the popular book Cursed Horror Stars (Telos Publishing). In addition to presenting a talk at the about his writing journey on Wednesday 11th April at the Black Gate at Newcastle Castle, Mark is hosting a series of talks about the actors who feature in his book, which is followed by a special screening of one of their films in The Castle itself. Here he briefly talks about the actors, and the choice of movies being screened. Chaney was never a great actor; his life haunted by the spectre of his famous father, and his career eventually destroyed by alcoholism. Now why choose this film over his signature role as The Wolf Man (1941) or his best performance as Lennie in Of Mice and Men (1939)? He may not be the most convincing Dracula, but he battles against miscasting to give a decent performance and while the film is no classic, it is a very stylish effort that deserves re-evaluation. A truly superb actor who could do no wrong in Hollywood – until his fictional alter ego Sherlock Holmes began to limit his career options leaving him a bitter man in later life. One is spoilt for choice when picking a brilliant Rathbone performance, but we’ll stick with the Great Detective and this enjoyable addition to Universal’s classic Holmes series. The horror inspired effort was one of the high points of the series, and Rathbone is in typically fine form. Lorre was the most specialised of actors, too specialised for Hollywood, who didn’t know how to make use of his unique talents. This situation, along with his morphine addiction, led to his inevitable decline. I chose Fritz Lang’s controversial opus because it was Lorre’s big screen debut and the film that made him a star. His incredible performance as child killer Hans Beckett still packs a disturbing punch. Dracula (1930) made Lugosi a star, but the role, along with the actor’s morphine habit, hampered his subsequent career, as he regressed from inferior chillers to some of the worst movies ever made. Why pick this film instead of his star making turn? In addition to being a classic comedy horror, it marked one of the few high points of Lugosi’s later career. If anything he gives a much better performance as Dracula in this film than he did first time around. The least known of the five actors from my book, Robert Quarry was a versatile stage veteran who was set to become a major horror star in the early seventies, if it wasn’t for bad luck and a couple of near death experiences that effectively derailed his career. Choosing his star making role as the enigmatic Count Yorga is the perfect audience introduction to his brief but remarkable work in the genre. Mark Iveson brings the story of his writing journey to The Black Gate, Newcastle Castle on Wednesday 11th April and the first screening in the series is Lon Chaney Jr in Son Of Dracula on Saturday 14th April.